Lyophilized from 20mM HEPES, pH7.0. Creatine kinase (CK), also known as phosphocreatine kinase or creatine phosphokinase (CPK) is an enzyme expressed by various tissue types. It catalyzes the reversible transfer of the N-phosphoryl group from phosphocreatine (PCr) to ADP to regenerate ATP. Creatine kinase plays a key role in the energy homeostasis of cells with intermittently high, fluctuating energy requirements, such as skeletal and cardiac muscle cells, neurons, photoreceptors, spermatozoa and electrocytes. 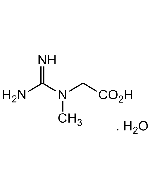 Creatine kinase consists of two subunits, which can be either B (brain type) or M (muscle type). Therefore, three different cytosolic isoenzymes exist: CK-MM, CK-BB and CK-MB. Cytosolic CK isoenzymes are always co-expressed in a tissue-specific fashion together with a mitochondrial isoform. Skeletal muscle expresses CK-MM (98%) and low levels of CK-MB (1%). The heart muscle expresses CK-MM at 70% and CK-MB at 25-30%. CK-BB is expressed in all tissues at low levels. Cytosolic CKs, in close conjunction with Ca2+-pumps, play a crucial role for the energetics of Ca2+-homeostasis. Octameric mitochondrial Mi-CK binds and crosslinks mitochondrial membranes. The CK system is regulated by AMP-activated protein kinase via PCr/Cr and ATP/AMP ratios. The cardiac-specific isoenzyme of creatine kinase, CK-MB, is a biomarker for myocardial infarction along with other markers such as cardiac Troponin I and myoglobin. The introduction of immunologic mass determination of CK-MB was a major breakthrough that replaced the traditional enzymatic assay. anti-Creatine Kinase-MM (CK-MM), mAb (2C5) YIF-LF-MA0234. anti-Creatine Kinase-M/B (CK-M/B), mAb (46A1) YIF-LF-MA0233. anti-Creatine Kinase-BB (CK-BB), mAb (3A6) YIF-LF-MA0232. CK-MB (human) ELISA Kit (10x96T) YIF-LF-EK0223. CK-MB (human) ELISA Kit (4x96T) YIF-LF-EK0222. CK-MB (human) ELISA Kit YIF-LF-EK0221.